Some of our creekside cabins. On 88 private acres near the Gallatin River! CALL for availability and reservations as our calendar will not sync. Searching for a Honeymoon Suite in the sticks? Well, our Birdsnest Tree house is literally in the branches. It’s 30 feet up in the cottonwood and aspen trees! This is THE most romantic honeymoon suite you’ll find. This Birdsnest Treehouse has two stories with a loft bedroom. Lots of home-away-from-home amenities in the full kitchen: Gas range, refrigerator, microwave, toaster, tea kettle, and Keurig Coffee maker. The main level living room has a brand new leather sleeper sofa and 2 super comfy armchairs and a gas fireplace. Step out and find the best birds-eye view from the large deck that has a grill and patio set. The main bathroom features an antique clawfoot tub! Sleeping arrangement: Loft has 1 Queen size pillow top bed and a tiny balcony deck with 2 chairs and half bath. We refer to all of our Bozeman cabins as “unplugged property” - no wifi or televisions - cell service is great however! We are only 7 miles from beautiful & historic downtown Bozeman, MT and Bozeman Yellowstone International Airport. You’ll never forget your stay at this Gallatin River Hideaway treehouse! Gallatin River Hideaway has 2 unique venues for weddings/receptions, corporate events or other large gatherings. Cabin rental and Event season is June- September. There are 2 other treehouses and 5 cabins on our private 88 acres. Maybe you’ll say your vows here then return every year to your Honeymoon Suite in the Birdsnest Treehouse! Since you book directly with us you get the best rate, and we make your Montana wedding or getaway everything you dreamed it would be. Drive right up to the treehouse and start your vacation. No need to check in at an office! We will get a keybox code to you prior to arrival. All cabins and treehouses are down the road from venues. We are tucked away but still only 7 miles from downtown Bozeman and Bozeman Yellowstone International Airport . Since we are close to town, an Uber is an option for getting around. 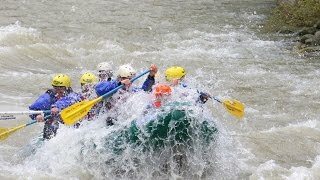 Find Montana Whitewater rafting & tubing adventures just up Gallatin Canyon, Museum of the Rockies is 15 minutes away, Bozeman Hot Springs is just around the corner and of course Yellowstone National Park is an hour and half drive away. The Gallatin River has blue ribbon fly fishing! Catch rainbow trout and brown trout in the 12 - 14” range - this is the most awesome fishing anywhere! Tips: Keep moving until finding active fish, or a bit of solitude :) experimentation is key! For a day trip to remember, take a beautiful drive along the Gallatin River through the Gallatin Canyon to Yellowstone National Park and Big Sky (get ready for an overload of beauty). The Gallatin River actually originates in Yellowstone. Nightly cabin rental available Mid May -September. Long term winter availability from early October-April. Check in at noon, checkout by 11:00 am. What a beautifully hidden gem! The exterior opportunities for photography were simply outstanding and wildly ideal for both large and small groups! The reception was beautiful and the higher ceilings with the magical decor- wow. Each and every guest sang the praises of the location and had plenty of space to explore. As a photographer, I was in heaven and cannot wait to return! I have stayed with my kids and without. Once in the bird's nest treehouse cabin and once in a creekside cabin. Grounds and lodging are so beautiful and unique. So quiet and relaxing, yet so close to town. Definitely, some great memories and unforgettable stay and experiences! The most beautiful venue in the Bozeman area, the people in charge were really easy to work with! Always available and accommodating. We'll be back many times I hope!